Title: Should I get married? Far from what the title of this book suggests, this is not a book that advocates celibacy. In fact, I must confess that this is the best book on courtship and marriage that I have read in my personal collection. Personally I like the author’s manner of presenting his insights and perspectives on marriage and empowering the reader in making a sound and biblical decision in finding a partner. Unlike the other books written by Joshua Harris- I kissed dating goodbye and Don Raunikar- Choosing God’s best, Smith offers a more experienced, matured and balanced view on this topic. It is really helpful. Being an easy read which can be finished easily within 1-2 weeks would be an added value which leaves you so much wiser and prepared in asking all the right questions in deciding the compatibility of your partner. I strongly recommend this read above all other relationship books! 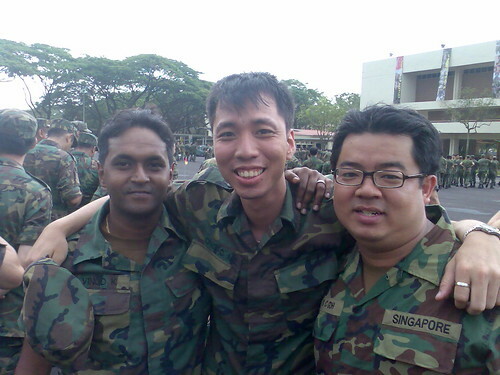 Picture taken with my spartan buddies- LCP Vinod K and PTE K C Goh at 595 Singapore Infantry Regiment (SIR) Unit standing-down ceremony at Jurong Camp II on 27 March 2008. With my time away for reservist in-camp training for the next two weeks, I will be taking a hiatus from this site. Catch you guys again on 28 March 2008. 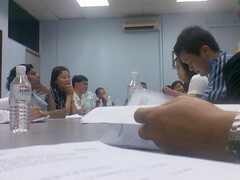 Today, I attended my first grassroots meeting for my neighbourhood! This was something that I wanted to do very much as part of my community outreach in staying in touch with the ‘ground’. Despite living in my neighbourhood for more than 20 years, it was funny how it was my first time seeing most of the faces in that room. It was really a good mix of people in terms of race, gender and age. There were about 25 of us. Personally, it was an eye-opener and a humbling experience. It was fascinating to see this group with such diversity working together to get things done as they ran through the meeting’s agenda. When we came to the part- Feedback on Government Service/Policies, I was all geared up to listen what most of them would discuss. But as expected, it was the usual. Most complaint about the raising costs. I guess just like how our ministerial leaders’ salaries need to be revised in accordance to the market, what more for grassroots leaders’ benefits and privileges rite? I had received a text message that sent me reeling. It was from my secondary school mate who informed me about the demise of his younger brother. I was shocked when I was told he had committed suicide. Apparently, he had plunged to his death from his flat. Gosh… He was only 29 years of age!? Though I wasn’t close to his brother, I regretted that I could not be that friend he would have thought of in his time of need. I strongly believe that he needed someone who could listen and understand him. And more importantly, to show him that there was HOPE in his situation. It’s really saddening to see a life gone just like that. So folks, please remember that there’s always HOPE in God! No matter how grave your mess may be, hand it over to our Almighty God. I guarantee with my life that He can turn all things around THAT’S IF you are willing to trust Him whole-heartedly and follow His instructions step by step. Here’s a story that I like a lot. It reminds one to chase one’s destiny. It is also a good story to illustrate how we need to be careful not to conform as we are most likely to become who we think we are with the people we mixed with. In our walk with God, there will be times where we need to hold on to our faith even when things around us do not look favourable. 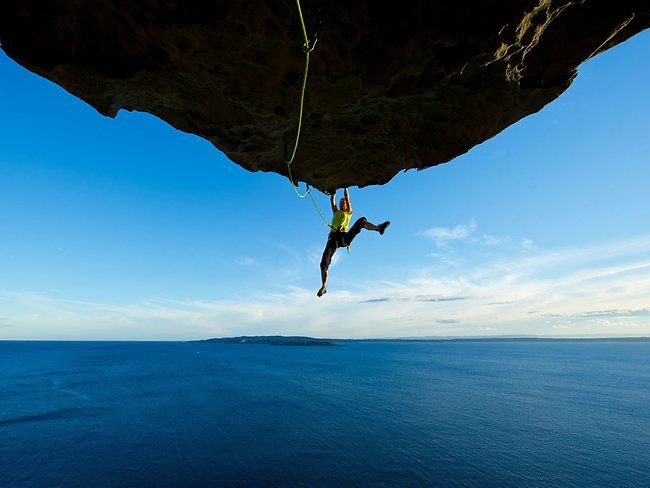 Its through times as such where the determining factor in whether or not we experience success lies in our endurance in holding on and outlasting the stretch. There is power in endurance or in our fortitude! Expect God to bless us!